When Geert Hofstede, a Dutch sociologist, published his seminal research on dimensions of culture in 1980, he found that Americans were characterized by a high level of individualism – in fact, they were rated the most individualistic people in the world. So, it should be no surprise that a model of leader development that was developed by the U.S. Army (“Be, Know, Do”) should articulate such an individualistic conceptualization of the leader. The entire focus is on what the individual is, knows and does – his personal character, knowledge and skills. The individual’s life in community is not even mentioned, except, possibly, as a sub-point under one or more of the three (some relational elements could perhaps be squeezed into “Be” or “Do”). In short, the BKD model understands the leader entirely and only as an individual. This is the second fatal flaw of the model as a basis for healthy Christian leader development. In an “individualistic” culture there is a loosely knit social framework in which people’s very highest priority is to take care of themselves and of their immediate families. However, a “collectivistic” culture is characterized by a tight social framework in which people distinguish between in-groups and out-groups, and they expect their in-group (relatives, churches, organizations) to look after them, and in exchange for that, they give absolute loyalty and service to it. In an individualistic culture, the needs and goals of the individual and his immediate family are the most important; in a collectivistic culture the individual puts the needs and goals of his community before that of himself and his immediate family. Western individualism has affected even our understanding of salvation. Westerners interpret salvation as purely an individual transaction between the person and God – that we individually receive Jesus as Lord and Savior and then we individually walk with God and fulfill His plan for our lives. To a Westerner that’s what it means to be a Christian – it is entirely and exclusively one’s own personal relationship with Jesus. Biblically, however, it is the other way around. Our life together in community is not a peripheral issue in the New Testament. For the New Testament believer, the church is the “end” and the individual is the “means.” In the Western world, our church life is a part of our individual lives; biblically, our individual lives are part of our life together! To put it another way, biblically, spiritual maturity is primarily a corporate reality – not only an individual one. The healthy leader is built in community. Community is where spiritual life, relational capacity, character, vision, knowledge and skills are shaped – they cannot properly be formed outside a relational context. 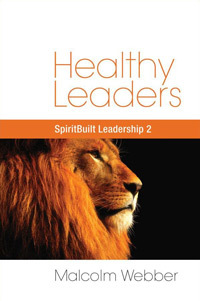 The healthy leader leads in the context of community. In the community he finds friendship, nurture, support, correction and accountability. The BKD model promotes a western individualistic perspective, dealing with the leader purely as an individual, rather than as a part of a larger organism. This is not the New Testament approach. In the New Testament, who we are in ourselves (our character, knowledge, and skills) is nowhere near as foundational or important as who we are in Christ and in community. Thus, the BKD model – while, again, a considerable improvement over the traditional academic-only focus of much traditional Christian leader development – does not give sufficient attention to the importance of community in the life-formation and ongoing ministry of the Christian leader. This is not to suggest that the U.S. Army has no sense of corporate responsibility. According to the Army’s BKD model, institutionally-shared values form the identity of the organization, binding together all its members. But, once again, this is a vastly different concept than the biblical picture of the Church in which we are held together not by values but by the corporately-indwelling life of Christ. In conclusion, community is not a secondary issue in Christian leadership or leader development. A healthy leader is built in community and leads in community. This is a core reality that must be central in our understanding and practices of leader development. I am so grateful of the model you have brought up here – BKD Model. I am developing the leadership development of my organization with Kauzes and Posner Model as the foundation to build leadership culture.